The International Summer Academy's Discovery Program is designed for children between and including the ages of 8 - 16. We provide a stimulating environment where your child is free to explore new talents, learn new facts and create new adventures. Below you will find class descriptions for the courses offered during our 5 week program. Description: The Summer Wrestling Course is a comprehensive study of the grappling arts that will cover offensive takedowns, defensive throws and controlling/subduing an opponent on the ground. The students will be familiarized with the concepts and conditioning involved in overwhelming and restraining an opponent with bare hands for the purpose of self-defense, enhancing personal fitness as well as developing mental toughness and analytical quickness. * Each student will develop muscular strength, enhanced balance and coordination, increased flexibility and cardiovascular endurance accomplished through various technique drills. * Each student will develop a practical knowledge offensive and defensive body positioning for situational attacks. * Each student will develop problem solving abilities under pressure by being placed in difficult situations by an opponent. * Each student will gain theoretical knowledge in the grappling arts through subject related lectures. Description: Tap, Clogging and Hard Shoe Irish Dance are all very closely related. This course is a comprehensive study of Beginning-Advance rhythmic steps of each genre. Students will learn the basic steps and build with more intricate steps and rhythms. Students will learn musicality, how to count and call each step, the different rhythms of each type, and about syncopation of rhythm. Students will end the week with a demonstration routine in each style of dance. Dress Code: Tap shoes may be used for all three styles of dance. Leotards/biketards or shorts and a t-shirt/tanktop. Hair must be pulled up and please bring a water bottle. 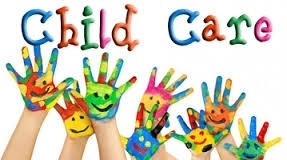 Description: During these weeks, campers will discover and learn how to lead art projects, read stories, teach the alphabet, numbers and colors, have playtime, lead recreational and sports activities with younger campers. Each year we find that our older students really enjoy engaging and sharing the skills they have acquired with the next generation. This method is in alignment with our Montessori practice throughout the school year. This experience will also allow children to get in touch with their nurturing side and become more compassionate and patient. These are all helpful life skills. Supplies:Comfortable athletic clothes and athletic shoes each day, sunscreen, and water bottle. Description: Students will learn a standard ballet warm up for barre and center floor. The warm-up offers stretching, flexibility, improved posture and coordination. Additional center floor combinations will be added and incorporated with Lyrical movements to promote fluidity and grace. Acrobatics is a class that includes contortion movements and gymnastics tumbling tricks. Students will learn stretching techniques to improve core strength and flexibility and will progress from each student's current ability. Students will end the camp with a ballet/lyrical routine and an Acrobatic demonstration. Dress Code: Ballet shoes, leotards with shorts or biketards. Hair must be pulled up and please bring a water bottle. Description: This Visual Arts Exploration Class will expose the campers to different mediums of visual arts. We will touch on 3-D and 2-D visual art, digital photography, installation art, collage and more. Our goal is to bring forth distinct concepts to each project, such as eduction, instruction, creation and art exhibition. sevenminusseven's brand of collaboration will be presented to yet another group of artists, continuing its rich relationship with the V.I. Montessori School and PGIA. Description: Students will learn basic - advanced twirling combinations, tosses and partner kicks. Two batons can be incorporate into this curriculum. Twirling is a wonderful tool that improves hand/eye coordination, rhythm, upper body/arm/finger strengthening, and posture. Students will end camp with a twirling routine demonstration. Baton(s), shorts and tank top, tennis shoes, hair should be pulled up, sunscreen and water bottle.